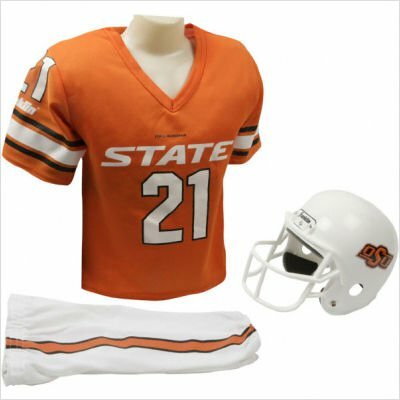 made of a polyester stretch fabric with a rubberized grip that holds hood to helmet. 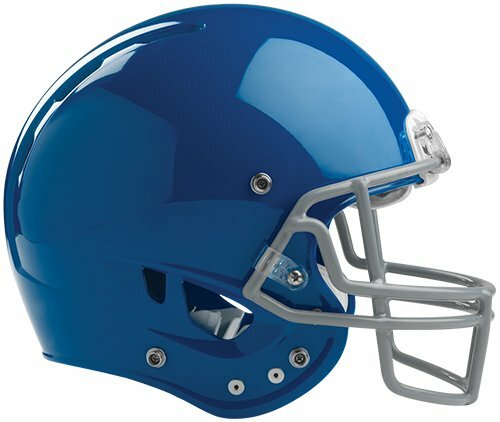 Fits most Youth and Adult football helmets. 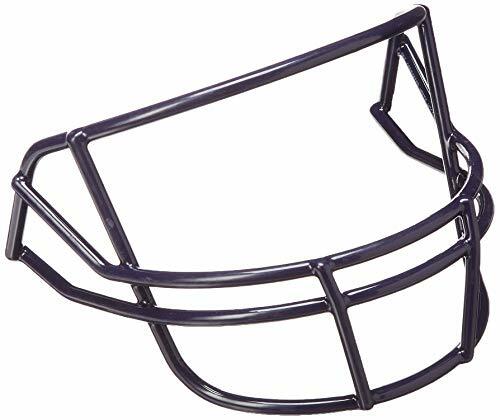 The Schutt OPO facemask is designed for skill position players that require a clear field of vision. Ideal positions: Quarterback, Wide Receiver, Tight End, Defensive Back, Kicker, Punter. The Schutt vengeance VTD II is engineered to maximize performance per the Virginia Tech protocol. The re-designed TPU cushioning system is a ribbed system, constructed in only one layer, that delivers better impact Absorption while reducing overall weight. The sure fit air liner features a TPU outer cushion which makes it have a soft pillow-like feel. The air liner also features a layer of high impact foam in the front cushion adding an additional layer of protection. The face guard has the patented twist release system to make it easier to attach or remove the face guard. 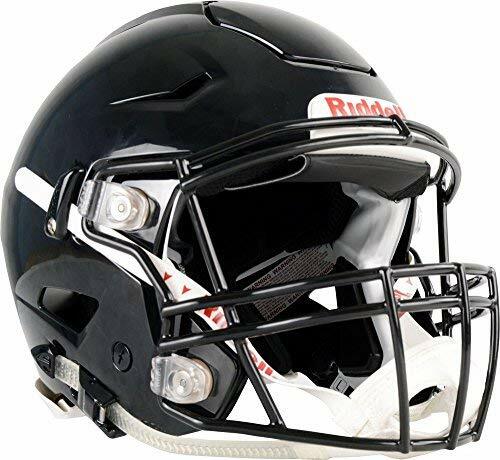 5 Star Rating - The Virginia Tech Helmet RatingsTM ranked the Riddell SpeedFlex Helmet as a 5 Star: Best Available helmet. The Rawlings NRG Momentum Plus provides youth athletes with the same shell design of their favorite pro players. Coupled with Rawlings Heat Exchange technology the new NRG Momentum Plus now features a C3 customizable inflation liner for improved fit. 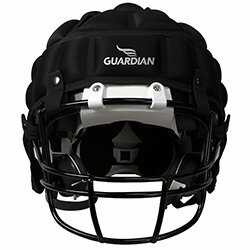 With the rear inflation port youth athletes will have the ability to properly adjust the helmet to their unique size. 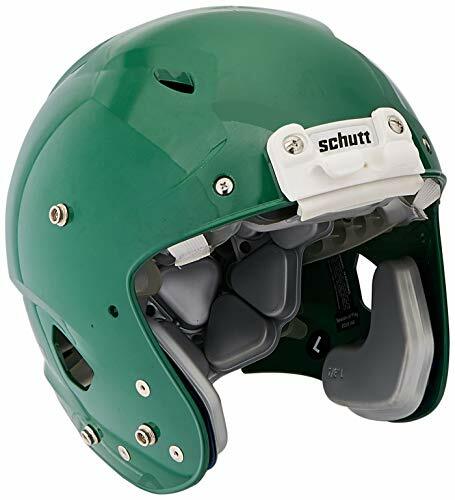 The Schutt AiR XP Pro VTD II Adult Football Helmet with Attached Facemask combines a traditional standoff shell with the latest cushioning technology to provide a great helmet for all players. 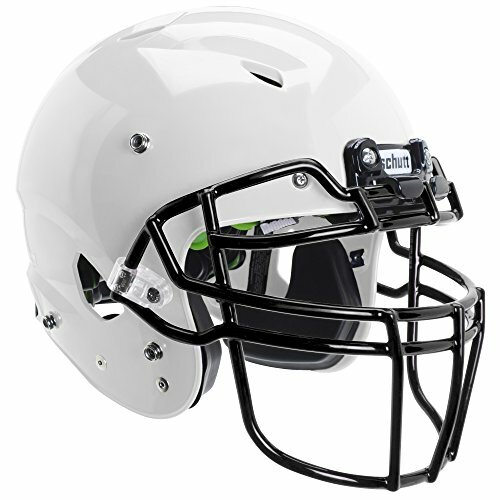 The included, attached facemask gives you a helmet that's ready to hit the field right away! The game of professional football has been an American tradition since the 1920's and has persisted to become the most popular sport in the country. Millions of people tune in every Saturday and Sunday during the Fall to watch their favorite teams play but the game has changed a lot since its formative years. 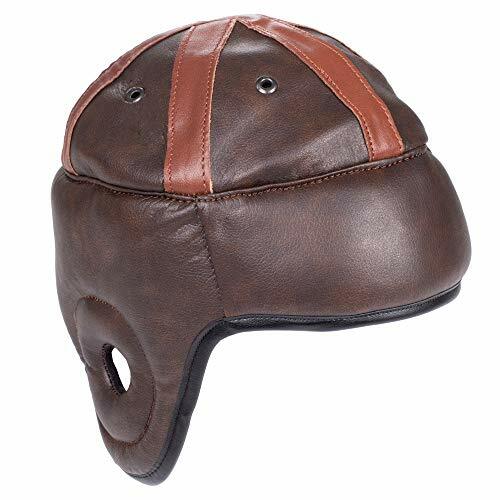 Now you can pay homage to the early days of the game with this Authentic Vintage Leather Football Helmet from Crown Sporting Goods. 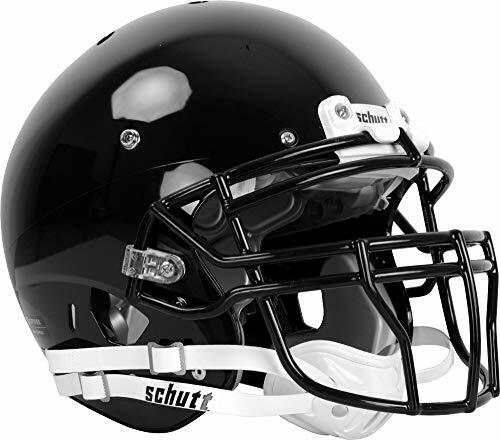 This helmet is styled similarly to the helmets used from the 20's to the early 60's that were worn by legends like Bart Starr, Red Grange, and Johnny Unitas. 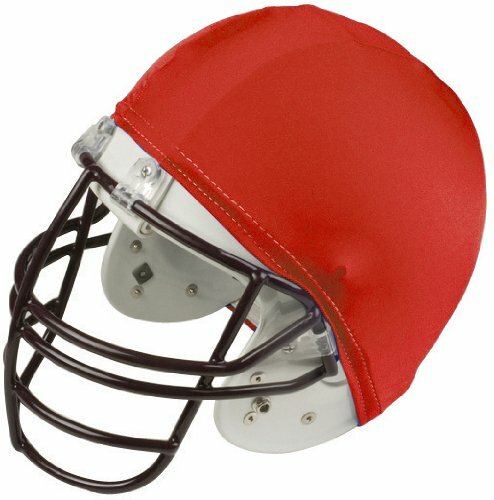 This helmet makes an excellent display piece for the nostalgic fan of old-school gridiron. 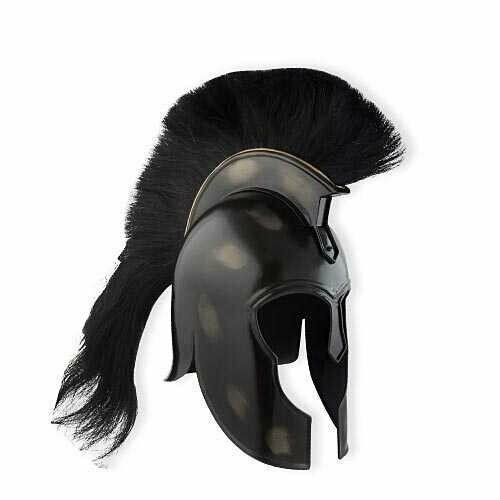 This helmet is made from genuine leather and features a stylized stripe pattern sprouting from the top of the dome to replicate the look and feel of early football helmets. HALL OF FAME: This old-school leatherhead helmet makes a perfect display piece for fans of the classics. Ideal decoration for the trophy room or the man cave. FLAG ON THE PLAY: Add a touch of class to any football fan's favorite room. 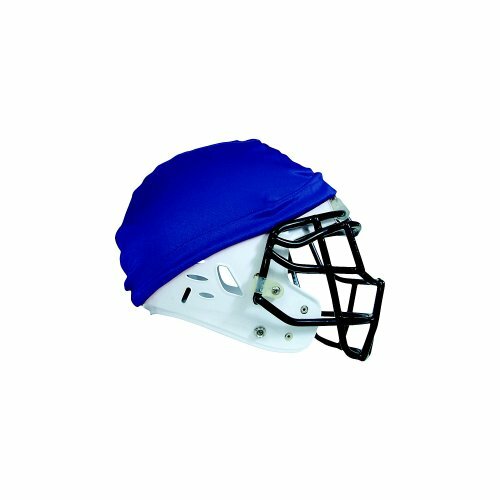 This helmet isn't for backyard football, so don't treat it as safety equipment! Brand: Crown Sporting Goods | Manufacturer: Brybelly Holdings, Inc. Installing a facemask or Ratchet-Loc chinstrap is a breeze with the Riddell Quick Release Combo Tool . The tool serves both purposes with small pegs on the side that fit into your quick release pins to instantly pop them off the helmet. 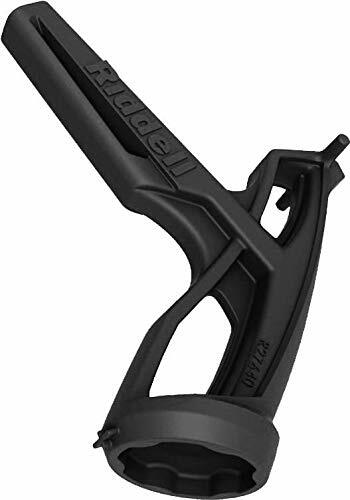 The ratchet side fits around the attachment wheel on Riddell SpeedFlex helmets to easily loosen the wheel and replace your chinstrap.